In-market ethnographic field research with the customer and client in mind. It’s hard to design for a customer you don’t understand. I believe designers and businesses miss opportunities by making assumptions about their end users. I also believe successful brands start with their customers’ problems, then look for the solution, not the other way around. 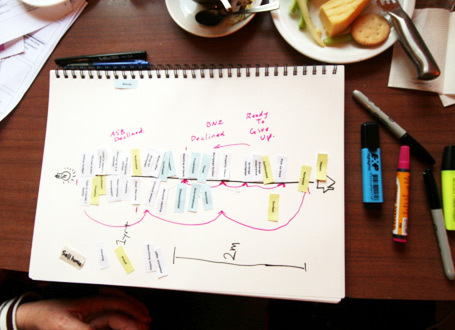 I work with clients who want to understand people – in order to make strategic change to their product or service. I’m an internationally respected design researcher – based in New Zealand – operating both for global clients and NZ clients who want to understand global customers. While traditional market research collects opinions and listens to what people say – I dive into your customers’ context – using a qualitative and ethnographic approach – to get to ‘the why’ behind how people actually behave with and think about your product. I plan and conduct highly customised in-market studies, uncovering and visually communicating insights around what really matters to customers, inspiring teams and informing decisions. …because only when you understand what your customer needs can you design your product to add value where it counts. 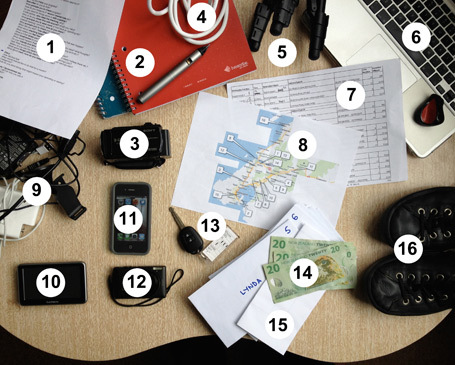 Ethno unpacked – a design researcher’s toolkit. Every minute spent with a customer is valuable, so when I’m visiting homes or workplaces during an ethnography I can’t afford to be distracted by practicalities like recording equipment and timings. Games people play during user research. bursts on his popular blog. Bowmast Consulting Limited. New Zealand. 2014.